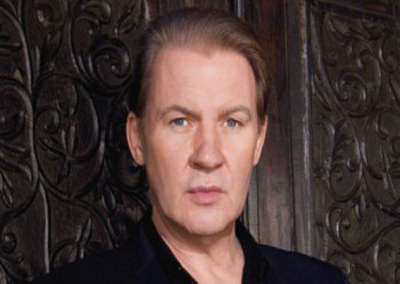 Johnny Logan leapt into the international spotlight with a hand-down victory for Ireland in the 1980 Eurovision Song Contest, after which his winning song, What’s Another Year? , quickly shot to number 1 in the UK chart and sold three million copies. At the time, many people assumed that he was Irish but, in fact, he was born in Frankstown, near Melbourne, Australia, 13 May 1954. His real name is Sean Patrick Michael Sherrard and his father, the renowned Irish tenor, Patrick O’Hagen, once sang for President Kennedy in the White House. The family moved to Ireland, when Johnny was aged three and by the time he was 13, he had learned to play the guitar and was writing songs. One of his earliest musical influences was the Dubliners, an immensely popular, traditional Irish band. After working as an apprentice electrician and performing in folk and blues clubs for a time, in 1977 he successfully auditioned for the male title role in the Irish musical, Adam and Eve . Two years later he wrote a song that came third in the National Song Contest. The composer Shay Healy heard it and asked Logan to sing his What’s Another Year? in the 1980 Eurovision Song Contest. After his sensational win, Logan suffered the burdens that success often brings. Different management and record companies argued over his services and he worked himself into the ground for a year and a half, touring constantly before taking six months off to re-charge his batteries. 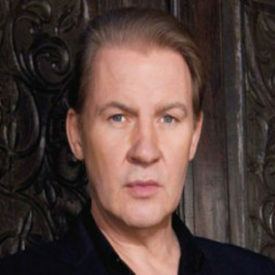 In 1984 he wrote the runner-up in the Eurovision Song Contest Terminal 3 sung by Linda Martin and in 1987 Johnny made a triumphant personal comeback to the competition when he won for the second time (no-one else had ever won it twice as a performer) singing his own composition Hold Me Now , which also rose to number 2 in the UK chart. In the same year, he was in the best-sellers again with I’m Not In Love and also appeared in the Royal Variety Performance at the London Palladium. In 1992 Logan completed a hat trick of Eurovision successes when he wrote Linda Martin’s winning song for Ireland, Why Me ?. He also released a new solo-album, Endless Emotion . In the following year, he toured Norway in a concert version of Which Witch . This Opera musical originated from that country but had flopped in the West End of London in late 1992. Logan played the leading role of Catholic Bishop Daniel in, what turned out to be, an immensely successful enterprise. Most of the performances were held at suitable outdoor places such as historical buildings and sites, culminating in two concerts underneath the giant Holmenkollen ski slope in Oslo which attracted more than 20.000 people. Since then Logan has continued to sing all over the world and has even performed to an appreciative audience in the Vatican in Rome. Then in 1996 Johnny finally released a new album Reach Out . One of his strongest albums ever! Johnny recently released a new album called Love Is All . Jack White produced the album and included Johnny’s own version of the old classic McCartney-song Silly Love Songs as well as a new dance version of Johnny’s breakthrough song from 1980 What’s Another Year? . Hold Me Now was voted as the 3rd most popular song in Eurovision history at the 50th anniversary concert in Copenhagen, Denmark in October 2005. What’s Another Year ? was also nominated amongst the 14 finalists. It has sold over 3 million copies. Hold Me Now is also a million-seller.